Robert Clinch: Fanfare for the common man. 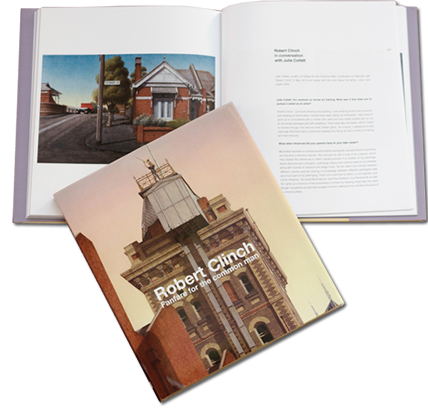 This handsome book features a beautifully written text by Australian Art writer David Thomas, supplemented by a fascinating recorded conversation with exhibition curator, Julie Collett, and is comprehensively illustrated with colour reproductions of artworks from the exhibition. 358 Burwood Road, Hawthorn 3122.